We are on Spring Break…yah-yah-yah!!! When you are a homeschool Mom, you look forward to the vacations as much as they do. Since we aren’t going on any fabulous-glamorous vacations, we are doing something fun every afternoon/night with the kiddos. Yesterday they built a huge fort at my Mom’s house and last night my Brother surprised everybody with Sonic’s Blast ice cream. Ice cream is probably one of Madison’s major food groups and lets be honest, who doesn’t love ice cream!!! 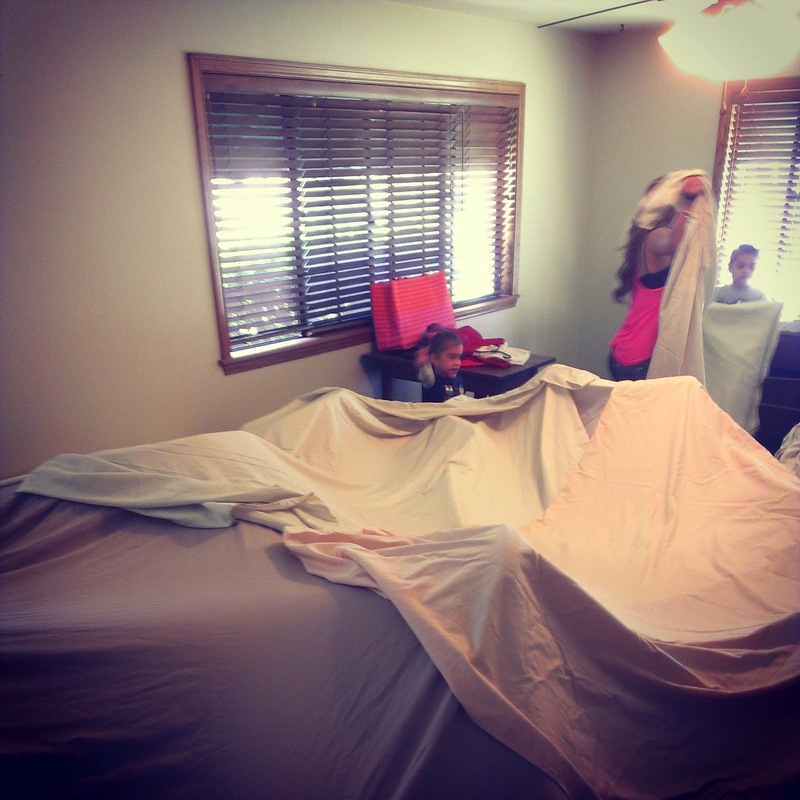 This fort that they built at my Mom’s is huge and takes up the whole room, it will keep them busy and entertained while I am at work. They are going to have so much fun!!! Tonight we plan on having a movie night and watching Frozen! We are probably the only ones on the planet who haven’t seen the movie, but usually we see boy movies at the theaters. My aunt bought the movie for the kiddos and they are so happy! Here is just a random TMI Tag video that we filmed, hope you enjoy too much information about me! I know this blog post is very choppy, but I have a lot of random things to share. Bryce also has a video up on our channel, Farm Simulator 2013, he’s so creative check it out! I hope you enjoy my randomness of this post?! Make the most of your day/week!! !